This is good news for people who wants to transfer photos from the iPhone/iPad/iPod Touch camera to Photoshop instantly. 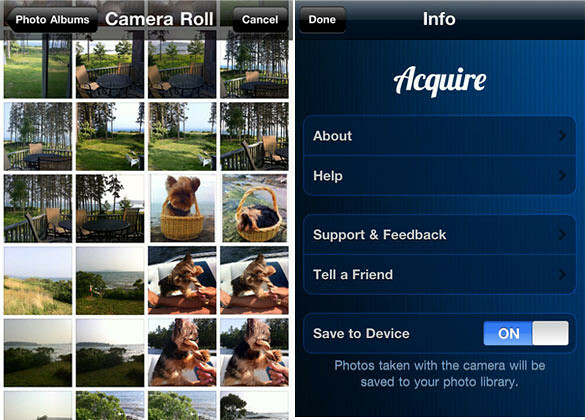 Whether it’s for a photoshoot job, or if you want to edit the photos as soon as you capture them, this app is for you. 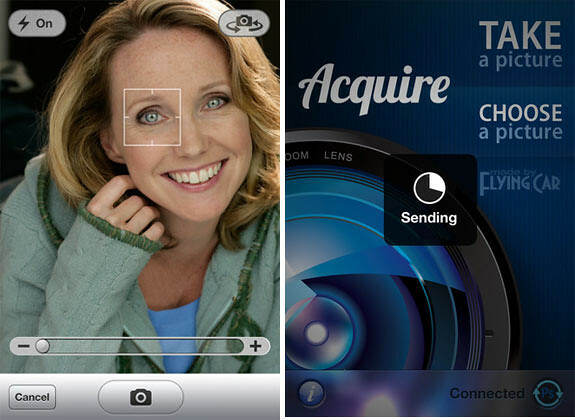 Acquire is a simple, powerful utility for instantly ingesting images from your camera-equipped iOS device into Adobe Photoshop CS5. Using Adobe’s Remote Connect feature, an image shot with your device’s camera is instantly, wirelessly transmitted into Photoshop so you can work with it without delay. Basically the app connects to your Phooshop CS5 and above via a WiFi network. This is done with the help of Adobe’s Remote Connect feature which is only available from CS5 onwards. • SIMPLE: Acquire is designed to do one really useful thing, and do it well. It does. • POWERFUL: Acquire connects to Photoshop using WiFi, so you can quickly ingest images on your local network. And with a static IP or a VPN connection you can even shoot a photo to your designer’s screen from halfway around the world. • FLEXIBLE: Acquire supports multiple simultaneous connections, so you could have several devices shooting images to you at once! • SECURE: Communication between your device and Photoshop is encrypted, so your system remains secure. Here’s a video walkthrough by one of the creators itself.